Inspired by Art-deco design and geometry, our Pyramid billiard / pool table light is a striking, contemporary choice for large UK and US Pool tables, or even for a modern Snooker environment. 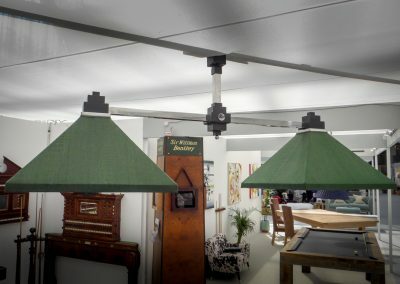 Handmade to order from your choice of Brass or Stainless steel, in a range of finishes, the light is sized precisely to suit the height of your ceiling, and suspended from a matching ball-joint ceiling rose, to ensure the light is level, even when the ceiling isn’t. 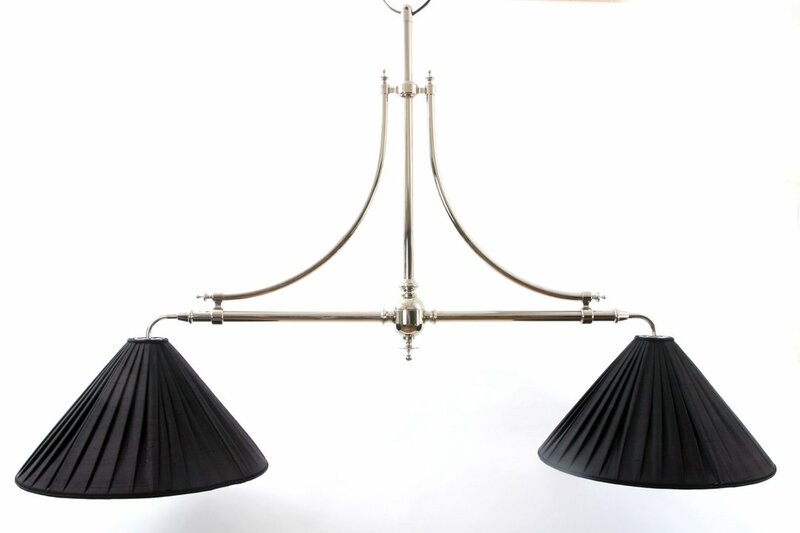 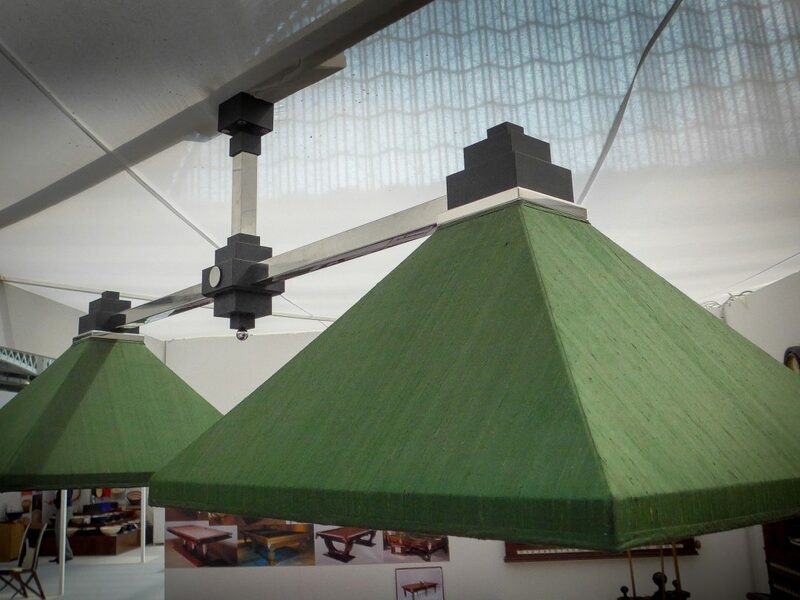 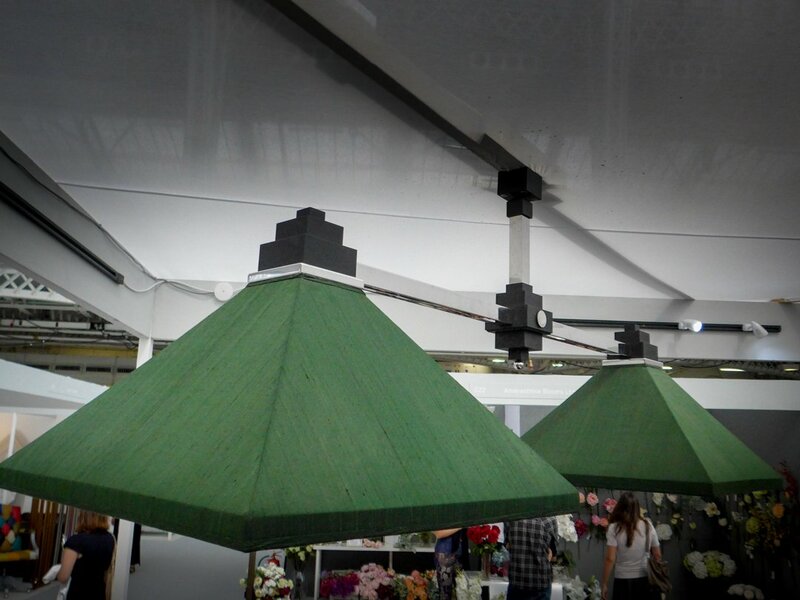 The light pictured was made for an 8ft Pool table, with contrasting polished steel and black powder coated metal and Green silk shades.The same design can be made to suit whatever table size you have, and the large pyramid shades are handmade with your choice of silk, typically chosen from a wide range of options offered by Bennetts or James Hare.